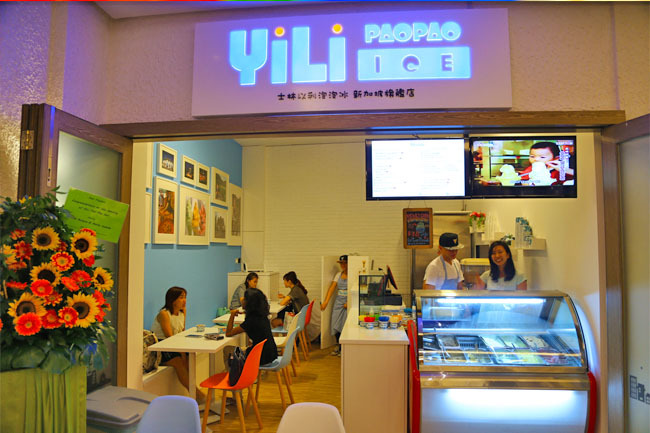 [Updated March 2015] Other than Orchard Central, YiLi PaoPao has opened at Serangoon Lor Ah Soo. Hong dou! Da Hong dou! Chua chua chua, chua chua chua… never mind if you do not know this song. But you must know that YiLi PaoPao Ice 以利泡泡冰 from the popular Taiwan Shilin market has arrived in Singapore at Orchard Central. 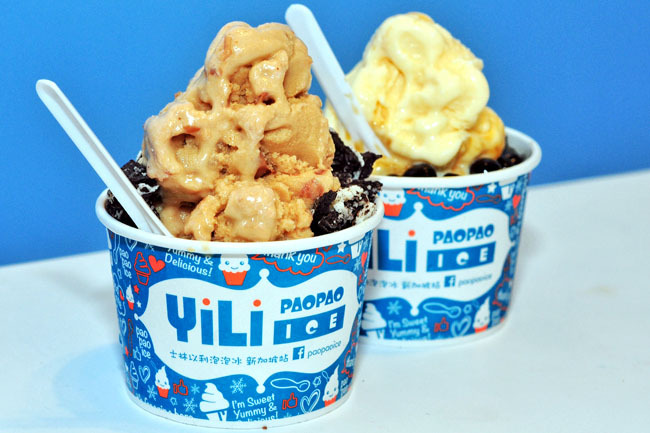 The 60 year old Paopao Ice was invented by Yili’s founder Mr. Chang in 1955 in Yilan. He started off selling the usual plain shaved ice with toppings, and noticed that some customers liked to mix the shaved ice with toppings before eating. He decided to help “pre-blend” the ice for the customers, and started experimenting with the different blending techniques, and eventually came up with this version of PaoPao Ice. 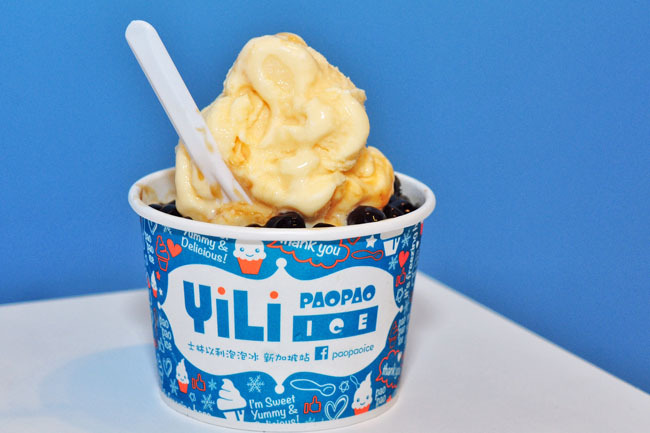 YiLi PaoPao Ice uses real fruits to blend to create that rich flavor, and can be eaten without toppings. 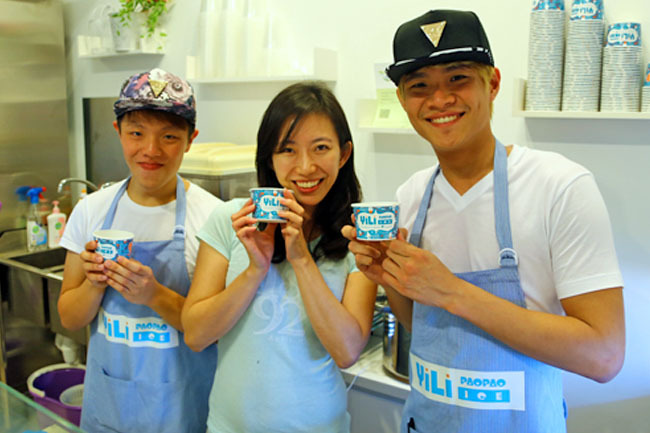 To maintain consistency and authenticity in the Singapore outlet, the owner’s daughter Lily was invited over to be in charge of the ice production. The PaoPao Specials included Boba Milk & Egg, Peanut & Oreos and Red Bean & Milk (each $5.60). Additional toppings such as Ai-Yu and Kidney Beans are priced at 45 or 65 cents. Woh, this provides a good alternative to the usual ice creams and gelato. 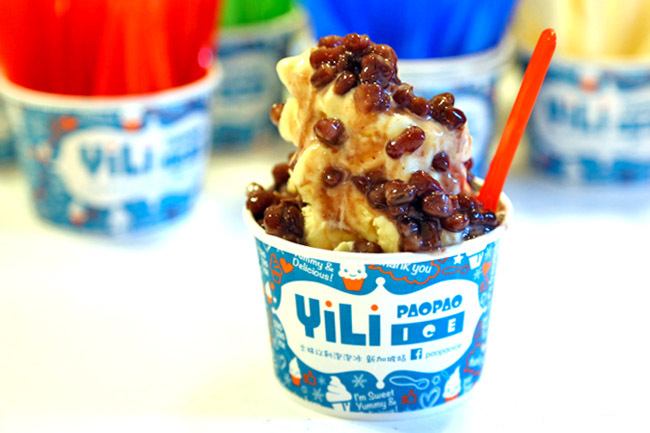 Unlike some other ice shavings which can have rough edges, YiLi’s cup was snowy let-it-go soft, irresistibly smooth. A mouthful of happiness. The shavings melted too fast though, as though my fairy-tale had a quick ending. The red bean also tasted too sweet, at least for the Singapore market. But this would have been perfectly fine for Taiwan, I guess. Too bad cannot ask for ‘shao tang’ (less sugar) haha. 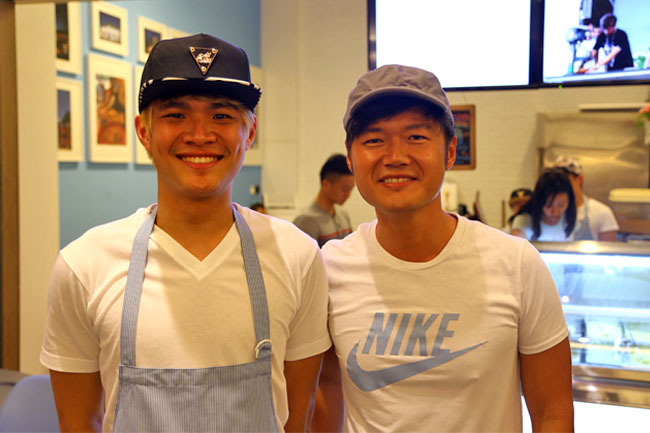 By the way, I was at YiLi that fast because Nicholas Tan (my café correspondent, who also took 2 of the photos here) told me the service staff looked like me! So I went down like almost immediately. So impulsive. Therefore, presenting my ‘brother’ Kim Sseung. You can call him Kimmy.